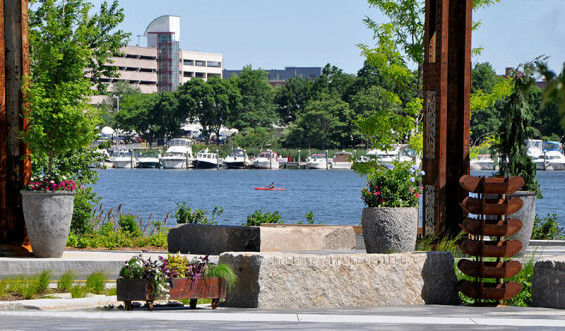 Assembly Row is a new 50-acre modern-day urban village located just outside of Boston and easily accessible by the new Assembly MBTA Orange Line Station. After years of planning and vision, the site of a long-closed Ford Motor Assembly plant has been transformed into a vibrant and active center of business and culture including luxury shops, local and national restaurants, office space, and high-end housing. 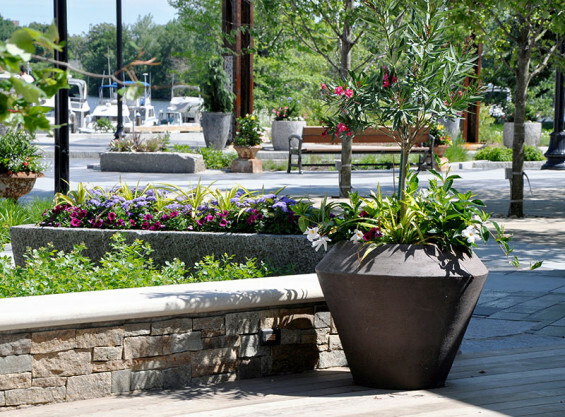 When the Developer set out to create a new urban village setting in Somerville, one of their main goals was to create a cohesive program of thoughtfully designed streetscapes, public spaces, parkland, and playgrounds that would engage visitors and compliment the various other shopping and dining opportunities. 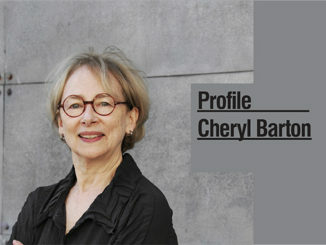 Copley Wolff Design Group (CWDG) played a key role in the development by closely considering the human element. CWDG and the design team focused on the design and construction of this new pedestrian-friendly environment. 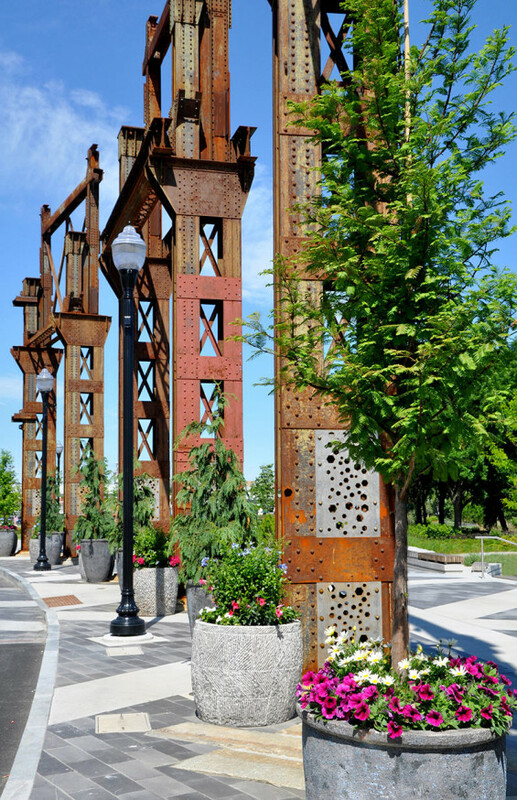 Their scope of work included a complete streetscape plan, a new plaza, and the redevelopment of a riverfront park. 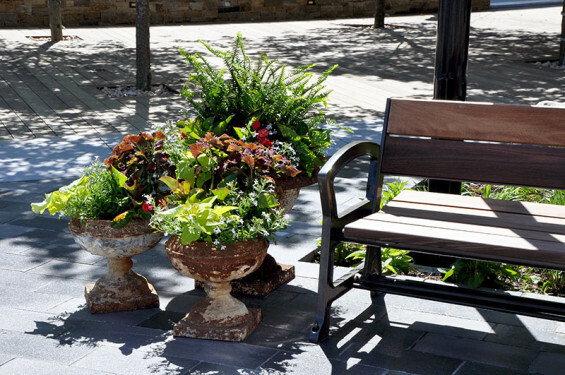 The site design incorporates ornamental plantings, shade trees, and sitting areas. 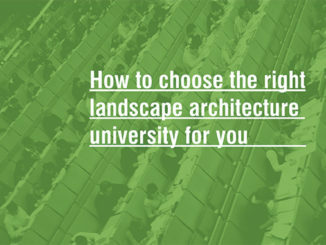 All of these elements, some including distinct building materials such as metal and salvaged granite, are designed to engage visitors and provide comfortable spaces to relax or simply enjoy a cup of coffee. 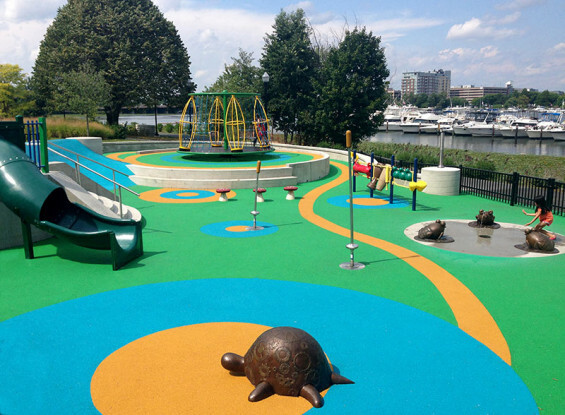 The redevelopment of Baxter Riverfront Park appeals to a wide variety of users and accommodates multiple activities. 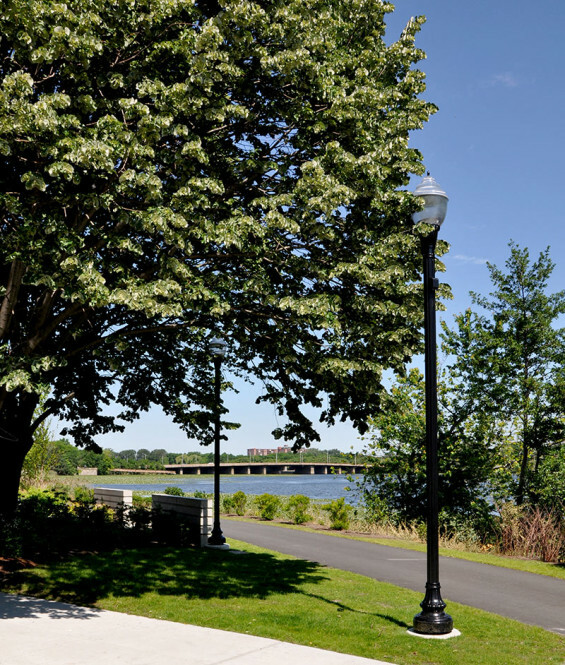 With Copley Wolff Design Group’s design, the 6.1-acre park has come to serve as a popular gathering location with large open green spaces; walking and biking paths; a playground, a new community dock; and an amphitheater. 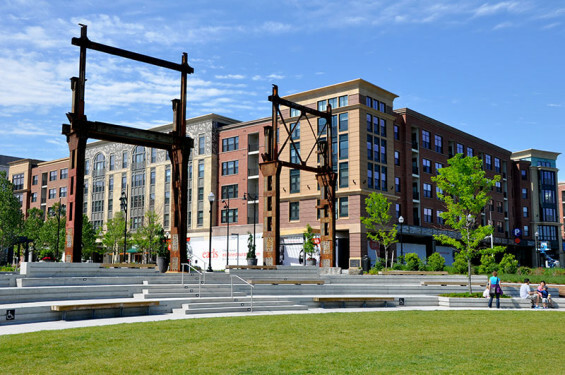 In addition, large steel trusses, recovered from the old assembly plant, are used in the design to evoke the history of Assembly Row. 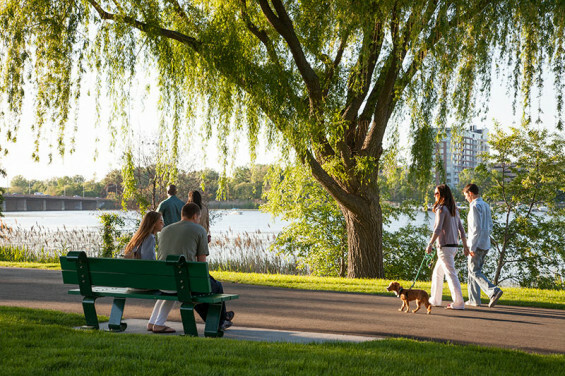 The redesign of the riverfront has proven to be a major success for the overall project by providing thoughtfully-designed space for activities including yoga, live music concerts, outdoor movies, craft fairs and boating – restoring important riverfront access to the public. 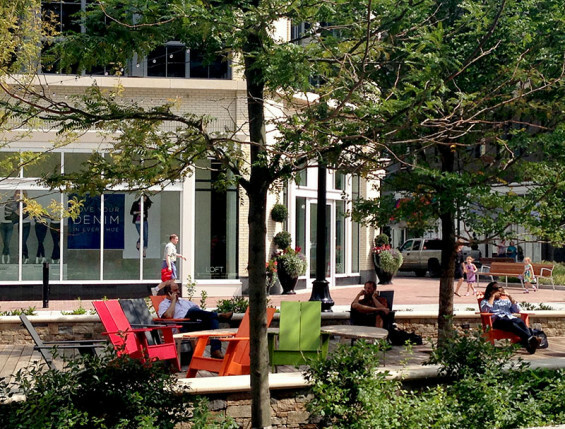 The programmable open space offers countless opportunities to enjoy Assembly Row in ways not found in traditional regional shopping centers.